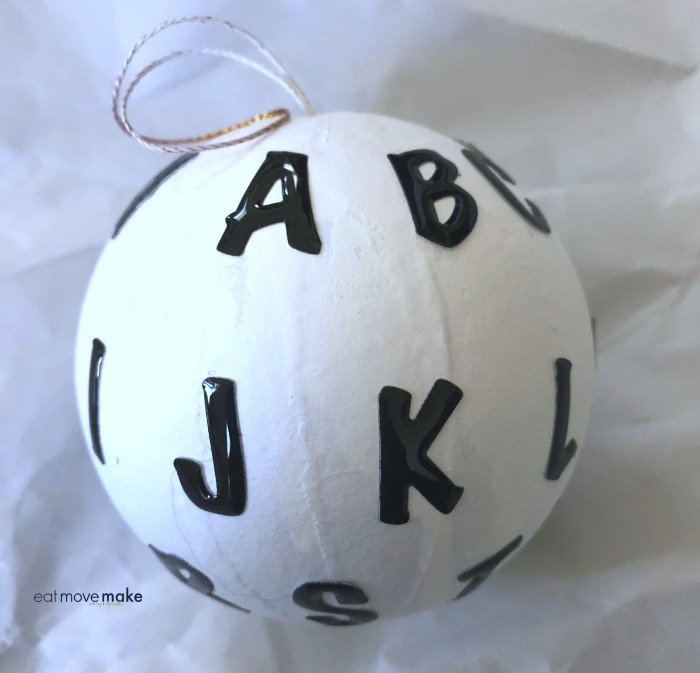 I was inspired to create a DIY Stranger Things ornament for my Netflix #StreamTeam post because I’m so excited that Stranger Things 2 is about to start streaming on Netflix October 27th. What I love most about the show is the retro throwback style and coming-of-age feel. It reminds me of one of my favorite movies, Stand By Me, but the storyline is different, of course. A boy vanishes in the small town of Hawkins, Indiana and a whole series of eerie and mysterious events begin to unfold. It’s riveting! If you haven’t seen the show at all yet (I’m pointing at you, Chanelle,) don’t panic! 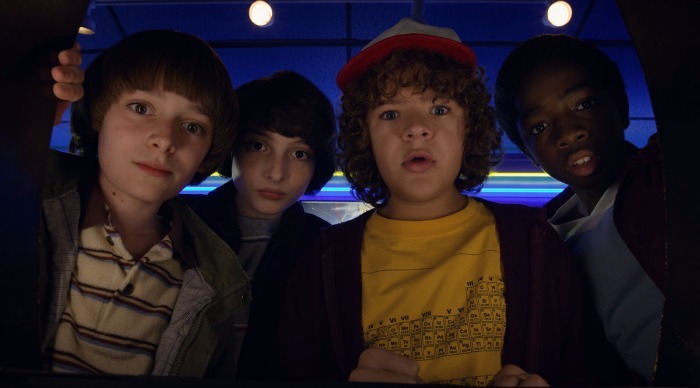 You still have time to binge watch the entire first season of Stranger Things before the new season starts. Once you watch it you’ll be hooked, and then you can make a DIY Stranger Things ornament for yourself. Or make one as a gift for someone else who’s a big fan of the show. If you’ve watched the show, you’ll completely understand the alphabet and Christmas lights, but if you haven’t watched yet, I won’t give it away. 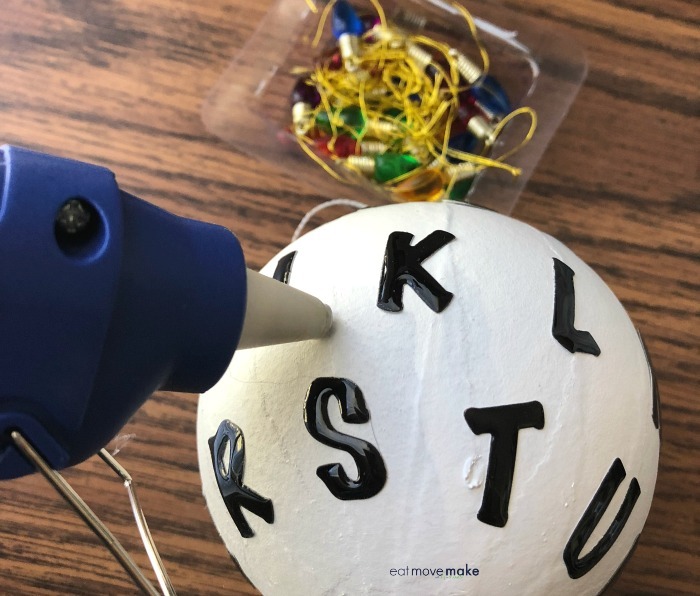 Remove the strings from the mini light ornaments, and hot glue a light above each alphabet letter with the bulb pointing down. Be careful not to push the hanger holes into the glue. You’ll need access to those. Using three strands of floss, thread the top row of lights together throw the hanger holes, but leave the thread loose so it resembles real Christmas light strings. Tie a knot; cut the extra thread off. Repeat for the remaining two rows of lights. Voila! The ornament is ready to be hung up and displayed! And remember to catch the premiere of Stranger Things 2 on Netflix October 27th! This is just such a fun ornament. I love this show and love your ornament! I can’t wait to see this! And I love your ornament! Omg now that is one cute ornament!!! I can’t believe the holiday season is practically here!!! This year flew by! Great ornament idea. Enjoy watching Stranger Things. Haven’t seen Stranger Things, but it sounds really exciting. The Ornament looks dazzling and what a creative and innnovative way to make it. I haven’t watch this movie and I heard may good reviews about this movie and I would love to watch this on weekend. I love knowing that I wasn’t the only one who liked the Christmas light screen in stranger things. this take is really unique. what a great diy project! I have not yet watched the show but it is on my list! Everyone says its really, really good. I better start before season 2 starts! I can not live without my Netflix. I am all about my binge watching. Plus now I want to see this show. I love this idea. I think I will do this for Christmas! 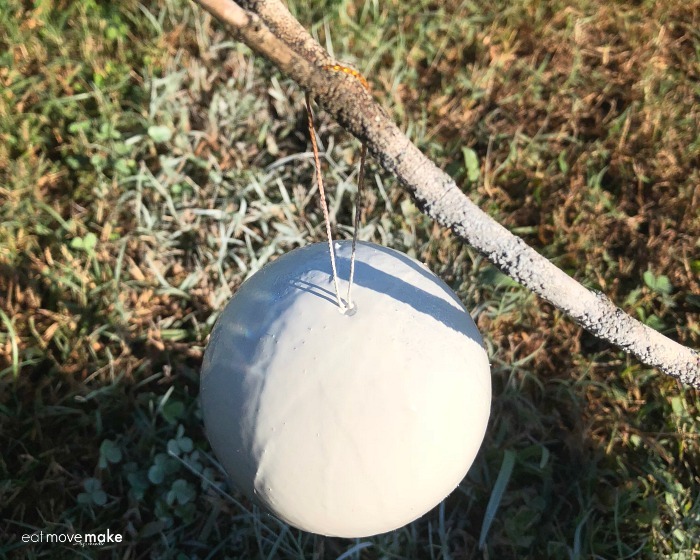 I am sure my kids would be able to help me with this fun project. The first season definitely got me hooked on Stranger Things and it would be so nice to make this ornament! I think it’s a cool show that’s worth waiting for! We love watching this show with our family! 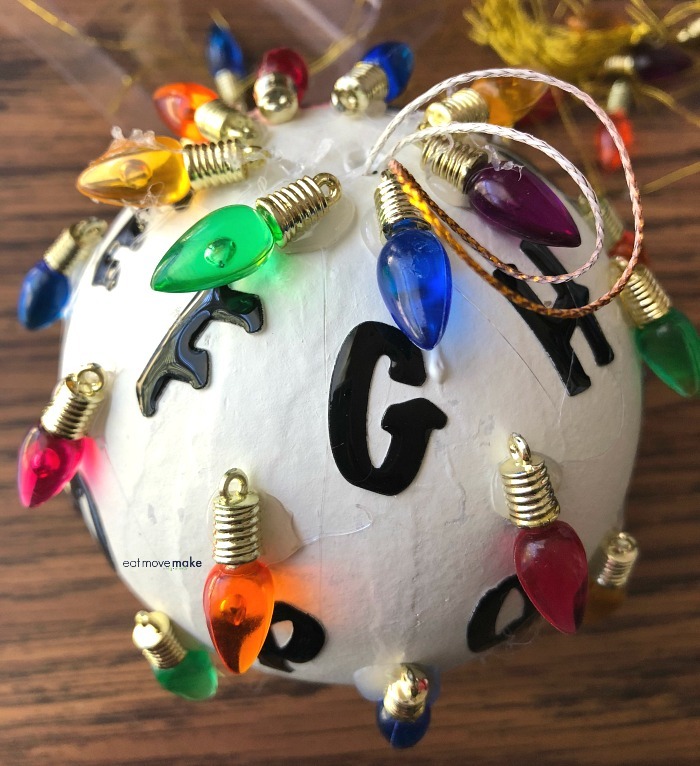 This ornament looks like a fun family craft idea. YOu just reminded me I need to watch Season 1 of Stranger Things. EVERYONE is talking about this show so i need to catch up so I can follow along with Season 2. This is really a cool idea! I will definitely try this and share with friends who love Stranger Things! I LOVE Stranger Things!! I love this ornament and I can’t wait for the second season to come out!!!!! This is absolutely amazing! We are counting down the days and hours until Stranger Things is back. I am making one of these for sure! The waiting has been tough, but it’s almost time for Season 2. Make a super cute ornament will help keep me busy while I wait to see what happens. Do you think my Elf on the Shelf could have a Stranger Things night? He could bring us one of these ornaments to hang on the tree. It’s so cute. 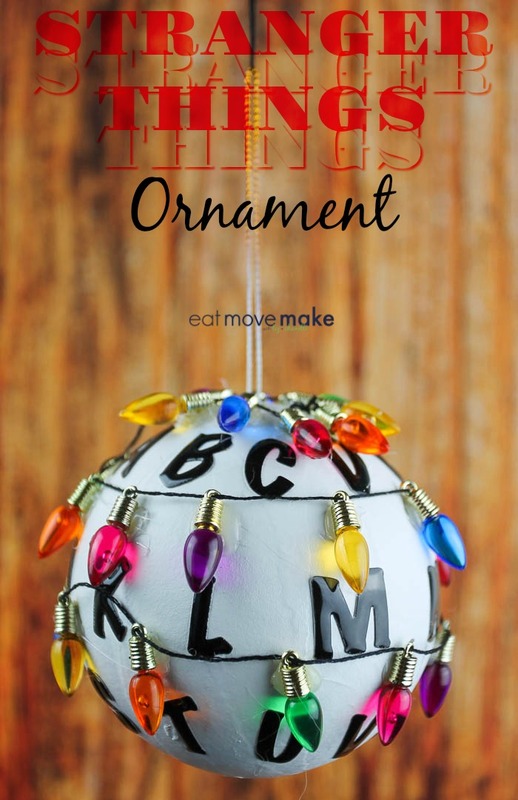 What a cool DIY ornament idea! I’d love to make this with the kiddies! This is such a cool ornament. What a perfect Christmas craft for any StrNger Things fan. This is about the most clever thing I have ever seen! I am totally making this for the tree this year! I don’t know the reason for the bulbs/ornament, but it does look cool. I’ll look this show up. Seems like so many are loving it! We’re all so crazy about the series at home and I can’t wait for it to come back to Netflix! I think this ornament is going to be a fun addition to our Christmas tree! This would be so much fun to make for so many of my friends. I really need to start watching this! That’s such a fun idea! I’m so excited for the second season, thanks for the sneak peak! I haven’t seen this yet, but I have a friend that has been raving about it. Maybe I will have to do some binging over the holidays. This ornament would also be a great idea to make her for Christmas! I really liked that show and I think this ornament is adorable. going to share this with my crafty people. from looking at the comments, it looks like a lot of people love it. I haven’t seen it… I haven’t even heard of it. I’ll keep my eyes open for it one of these weekends. Thanks for the tip. I know some Stranger Things fans who need this ornament on their tree this year! My husband is really into the show too. This was a show that I had no intentions on watching. My husband and daughter sat down to watch it, and I was hooked. We are eagerly awaiting season two. This is such a cute idea! I’m gonna show my daughter. That ornament is perfect. I am so ready to watch season two this weekend. I am so in love with this show. I definitely need to make this adorable ornament. We are SO excited for the new season! Seriously can’t wait! Loving this idea! This is just awesome, I am going to make some soon. I am so ready for the second season. Looks simple enough to make and will be a great ornament for those who love Stranger Things, I have not watched it yet. I know, I need to! I have yet to watch Stranger Things. I still love love LOVE that ornament though. Very pretty for the holidays! I cannot believe that the second season is almost here! Stranger Things makes me nostalgic for the 80’s. I love your ornament, too. It’s such a creative touch! This show is my husband and my all time favorite in Netflix. That ornament is the best! I pinned it and will try my hand at making it. 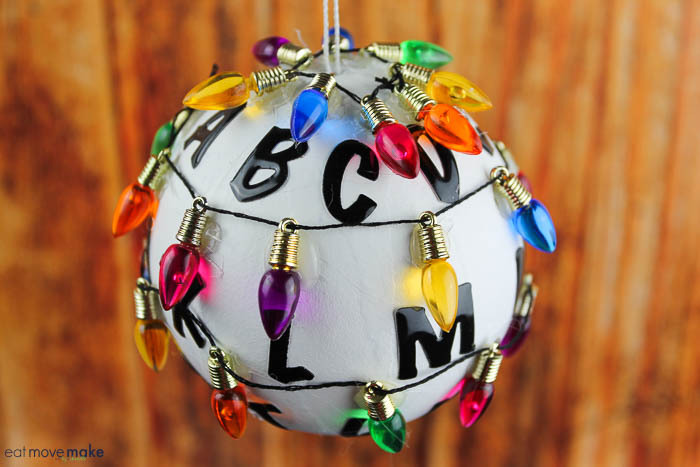 This would be a fun idea for an ornament exchange! Can’t wait to see the next season of Stranger Things. My cousin loves this show. This would be a fun ornament to give them for Christmas. It’s a creative and easy to do and it won’t cost me a lot of money to make. 3 months of Netflix? That’d be amazing! Thanks for the giveaway. The ornament is so cute!! I will have to try this sometime. I have not seen Stranger Things yet but hear good things about it. I am way behind on Stranger Things but I have friends who are totally obsessed with it and would LOVE this ornament! I just might have to start making some holiday gifts now! I love this ornament. It’s so fun and festive. During the holidays, making ornaments with my kids is one of my fave traditions. I am way behind the times when it comes to this stranger thing two. Guess I will have to get caught up with the first season. Really do like the ornament. I just love this ornament! I haven’t seen Stranger Things yet, but I keep hearing about it. I’ll eventually watch! I have Netflix and there are so many great shows. Such a cute ornament! I have to admit that I’ve never seen this series! I’ve been looking for something new to watch on Netflix, so I’ll definitely check this out. Three months free Netflix? Oh yes. I’m joining the giveaway! We love the show Stranger Things. Happy that there is a Season 2! Oh, BTW, love that ornament too. So cute! This is such an awesome giveaway. It would be amazing to win a free three month subscription to Netflix! I love watching Stranger Things, but I do have a lot of episodes to catch up on. Hopefully I can before Season 2 starts! I just went and entered the giveaway. I keep hearing awesome things about Netflix. The only thing cooler than that ornament idea is that giveaway. Free Netflix sound super freaking awesome to me! That is the best ornament idea ever! We LOVE Stranger Things, so I can’t wait to sit down and make up a bunch of these with the fam. I have not seen the show yet but have heard so many great things about it. This will be added to my next show to watch list! This ornament looks awesome. I’ll have to give it a try. Can I just tell you how excited I am for the 2nd season of this show. I looooooooved the first season.